just fooling around and wanted to try something new... as always C&C welcome. Nice concept and a great image! everything is out of focus except fingernails? +1 for the "Like It" Club. If the single point of focus was the nails, with OOF face and glitter, then you've got the technique nailed in this shot. that as the intent, i'd have prefer a bit more DOF but its very hard to even capture the image properly get the DOF correct. in hindsight i probably should have focus on the palm more. i may revisit this, however it sure made a mess. I think it's great. 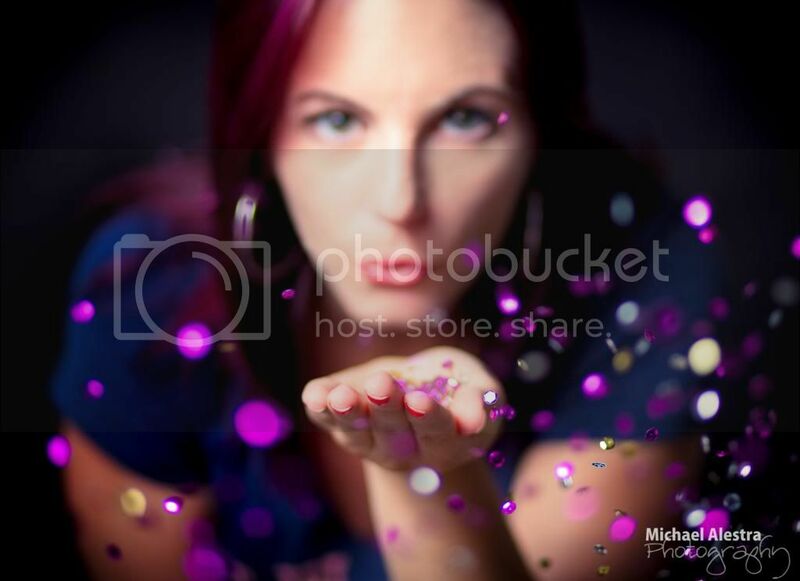 I especially like the random bits of glitter that are in focus. Nice job! Love it. Pham did one of these a while back. Really nice... I think having the focus on the fingertips works really well..